MEXICO CITY (Reuters) – Mexico’s peso firmed sharply after exit polls showed leftist candidate Andres Manuel Lopez Obrador handily won Mexico’s presidential election on Sunday, as widely expected by financial markets. The peso extended gains after Lopez Obrador’s rivals conceded defeat, strengthening around 1 percent against the U.S. dollar and leading gains among major currencies. One exit poll by Parametria showed Lopez Obrador ahead by 20 percentage points. Jose Antonio Meade, the candidate of the ruling centrist Institutional Revolutionary Party, or PRI, conceded the election to Lopez Obrador, a 64-year-old former Mexico City mayor, shortly after polls closed. Other rivals followed suit. 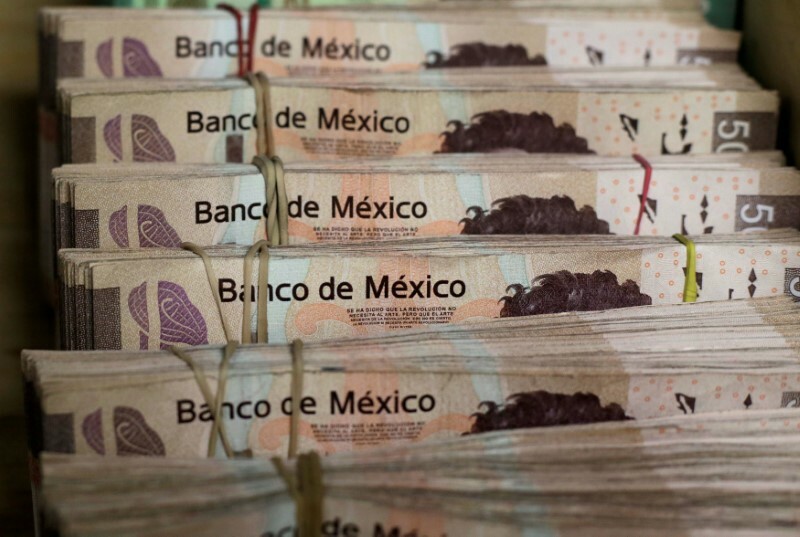 “The exchange rate appreciated after Meade declared himself a loser, which in some way gives the market peace of mind that there will be no confrontation between the different candidates,” said Gabriela Siller, an economist at Mexican bank BASE. Polls had tipped a wide victory for Lopez Obrador, who many investors are expecting will govern from the center. The peso hit a one-month high on Friday before pulling back, and the currency was heading back toward that high. Mexico’s benchmark stock index () closed at a more than eight-week high last week.